Coral reefs are found in 109 countries throughout the world, but it is estimated that they have been damaged or destroyed by human activity in at least 93 countries. With each reef lost, countless forms of unique tropical marine life move closer to extinction and indigenous communities are forced to move from their ancestral lands. 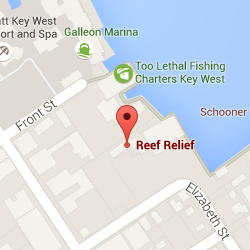 The following map shows the locations of reefs throughout the world. Coral reefs are located in three primary regions located between 20 degrees N and 20 degrees S of the equator: the Indo-Pacific, the Western Atlantic, and the Red Sea. The Indo-Pacific region stretches from southeast Asia through Polynesia and Australia, eastward across the Indian Ocean to Africa. This is the largest and richest assemblage of reefs in terms of coral and fish species present. The Western Atlantic region stretches from Florida to Brazil, including Bermuda, the Bahamas, the Caribbean, Belize and the Gulf of Mexico. The Red Sea is the smallest of the three regions, located between Africa and Saudi Arabia. It is considered a separate region because of the high number of coral reef life found only in this area. Based upon geographic distribution, 60% of the world's reefs are found in the Indian Ocean and Red Sea, 25% are located in the Pacific Ocean, and 15% in the Caribbean. Reefs in many areas are in peril due to human-caused threats.